Utilization review (UR) is growing in popularity among physicians. This role has also been described as physician advisor, chart review, or peer review among other titles specific to various companies. Physicians can do UR work directly for a health payer or for a medical review company that serves several payers. And the work can be full time or as a contractor, with a pre-agreed upon number of charts or hours per week. Working from home, flexible hours, no emergency or holiday responsibilities, and becoming part of the decision-making process in healthcare can be appealing for many doctors. If you are considering working in UR, it helps to know some strategies for succeeding in the position. One of the scariest fears about working in utilization review is the idea that you may be incentivized to obstruct patient care. However, doctors who have done this type of work (including myself) say that there is no incentive to deny needed medical care to patients. However, it is probably safe to say that any doctor who works in UR has had requests for their own patients’ tests denied at some point due to regular guidelines. And while this can be frustrating, your experience as a clinician who has directly cared for patients (or still does) will serve as a focal point in your decision-making. When you take part in peer-to-peer discussions, you should be ready and willing to share you name—even before the ordering physician asks you who you are. If you are making decisions that you don’t want to associate with your name, that is a red flag that something is wrong with the job itself. The vast majority of physicians who work in UR are knowledgeable, and ethical, enough to make determinations that are in a patient’s best interest, but often the ordering physician does not have the full patient history of tests. As the UR physician, you may have access to medical information that didn’t make it to the ordering physician’s electronic medical record (EMR), perhaps due to the patient getting medical care at clinics they aren’t linked with each other. Your role in adding these details can turn a combative conversation into a productive one. As UR is becoming more prevalent, guidelines are emerging and are constantly being updated. Having a strong grasp of the guidelines can help you work more efficiently. This is also an important aspect of communicating the rationale behind your determinations. When you communicate using evidence from the guidelines, your patients and their doctors won’t feel that they are getting the runaround. If you notice guidelines that seem to fall below a standard of care that you consider optimal, it is important that you flag these issues. It is also essential that you know the protocol for handling cases for which the guidelines don’t apply. Some patients may require additional diagnostic testing before an etiology is deemed idiopathic. Some patients may need non-standard treatment for a medical condition that is refractory to therapy. And there are conceivably numerous other reasons why a person’s body may not be a textbook case example or why a care algorithm might not work. You need to know how to make exceptions when the situation calls for it. There is always the possibility of some conflict in the world of UR. Most ordering physicians find the whole process to be one of many areas in which doctors have lost autonomy when it comes to caring for patients. And when you are reviewing a case, it is vital that you respect the judgment and the personal relationship that has been built between the patient and the whole health care team that is working on his or her behalf. If the nurse who spent time giving a patient instruction about how to self-administer injections seems frustrated that his patient is having trouble obtaining those very injections, you have to respect the time and energy that nurse has already put into caring for the patient. If the receptionist who scheduled a diagnostic procedure for the patient and provided road directions to the facility where the procedure takes place sounds insulted by your denial, you have to respect the personal touch that has already been given to the patient. And if the doctor who spent hours researching a patient’s unusual disease presentation is perceptibly insulted that you would question their judgment about a complex disease presentation, you need to consider the decision making that already went into searching for an atypical cause of illness. When you communicate with ordering professionals by giving them the respect, they deserve you can be viewed as a trusted partner in their patient’s care. Ordering physicians and their staff have already spent time with each patient and have provided instructions to the patient and family regarding the requested diagnostic test or therapeutic intervention. Any extra time obtaining payer approval— especially if the process has reached the level of a peer-to-peer conversation— is a huge time waster for patient care. Whether you are speaking to the doctor directly, to another health care provider on the team, or to staff member, they could have otherwise been working directly with patients instead of talking to you. This means that it is important to be respectful of their time. For example, if you need additional documentation it is worthwhile for you to make your requests concisely and in full, so they can efficiently get the information needed without multiple phone calls. Working at home at your convenience is a benefit of UR work. But it is important to maintain a connection with your team as well. It can be tempting to log in your hours and then sign off. However, paying attention to the goals of the company you work for, where they are headed, and what projects are on the horizon can help you in the long run. If you can join team meetings (virtual or in-person) or take on additional projects that are outside the scope of your usual work, senior leaders at your company will view you as more of a colleague than another employee. This helps with job security and potentially with gaining promotions inside and outside the company. If you are a physician working in UR, you can be an asset to the overall care of the patients whose charts you review. 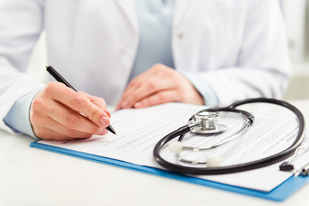 Payers will likely always require some form of pre-authorization. And an understanding of the medical issues involved in pre-authorization requires substantial clinical experience and depth of medical knowledge. You can make the process easier for patients, their doctors, and the whole team involved in patient care. And you can maintain integrity if you approach UR work with the goal of providing a high level of trusted service to patients. For more on career changes read on here!